"The project was handled professionally from the planning stages all the way to the installation process. We found the entire team to be reliable, courteous and professional." All Saints Episcopal Church near Birmingham, Alabama operates a vibrant preschool program for children between the ages of 6 months and 5 years old. 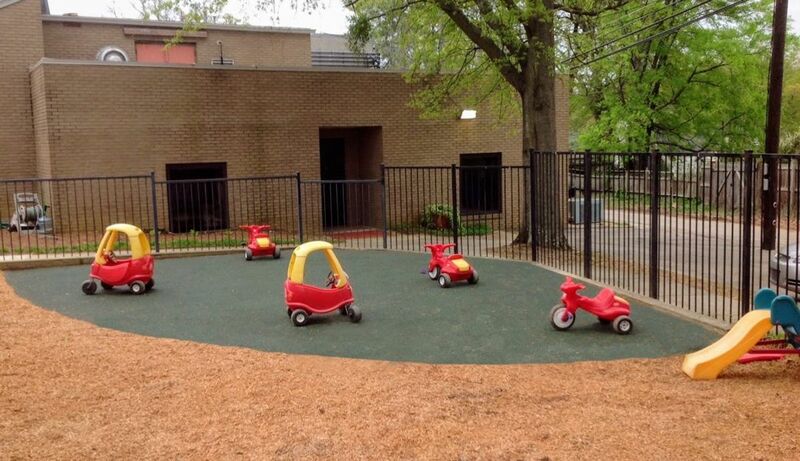 When they needed a new play area for the toddlers and beginning walkers, they turned to GameTime and their exclusive representative in Alabama, J.A. Dawson & Company to design a space that would address the specific play styles and developmental needs of this age group. They also wanted play equipment that would last for years to come. GameTime and All Saints Church selected a KidTime play system for the primary play area. KidTime systems are manufactured by GameTime in the USA from durable materials and include a wide range of play activities like slides and climbers that are just the right size for toddlers and children who are taking their first steps. There are molded-in graphics, interactive games and sounds and areas to explore. 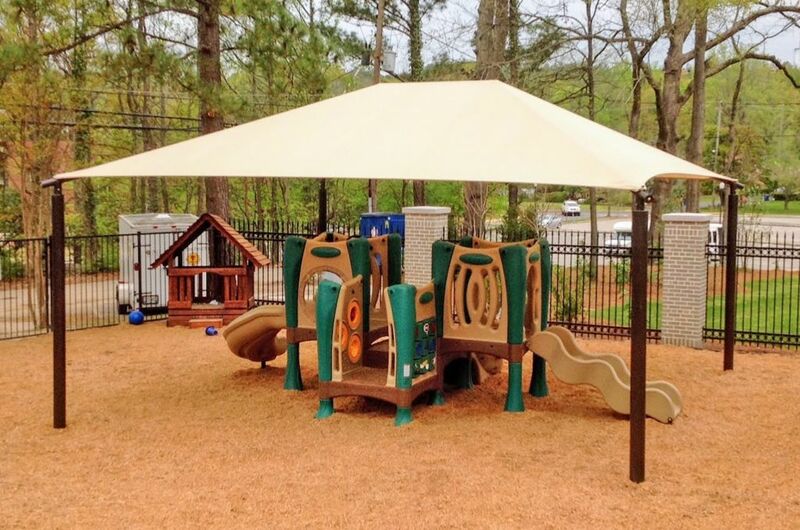 The entire system is covered by a freestanding GTShade® canopy to keep children cool and comfortable. Adjacent to the play structure, GameTime added soft GTIMPAX poured rubber surfacing for ride-on cars and other play activities. 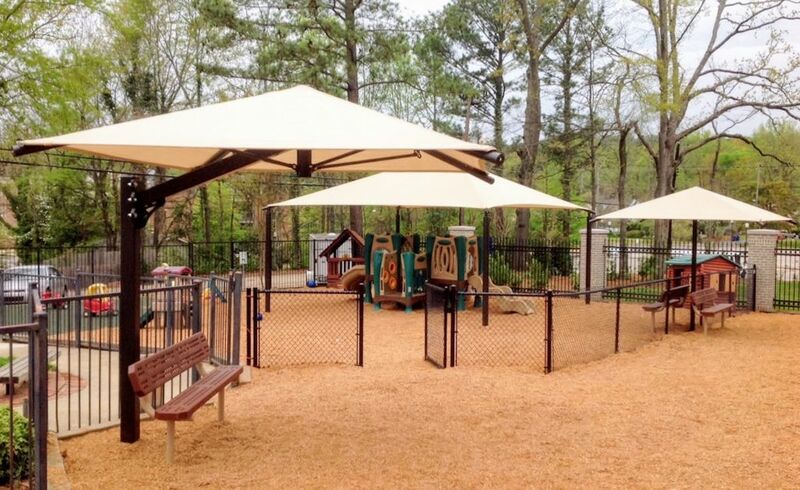 The rest of the play area is filled with soft engineered wood fiber and there are additional shade canopies and benches for children to rest and for teachers or parents to supervise play time. If your church or early learning center is planning a new playground for preschool-aged children, talk with a GameTime representative in your area. We can help evaluate your site, make recommendations based on the children who will be using the playground, and help ensure the equipment will provide play value for years to come.